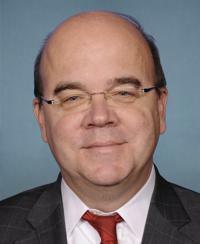 Peace Action has endorsed James McGovern for his dedicated, pro-peace leadership in Congress. As you know, this will be a critical election year that will have a big impact on foreign policy decisions for years to come. Fear of being perceived as "weak" has led many in Congress to adopt hawkish and counterproductive approaches to foreign policy. Changing this dynamic requires us to demonstrate to our elected officials that advocating for a more peaceful approach to our foreign policy will earn them the political and financial support of a large and powerful constituency - the Peace Movement. Supporting candidates through Peace Action lets them know that diplomacy and peace issues are a priority that you want to see them take leadership on. Please support James McGovern today!